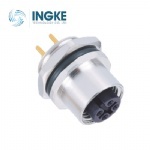 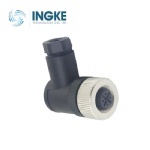 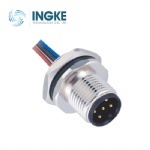 INGKE TECHNOLOGY offers a complete line of M12 panel mount connector solutions for enclosure, panel and PCB applications. 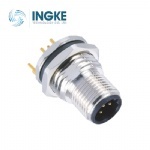 These M12 connectors are offered in both male and female versions and are rated to IP67. 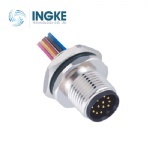 These connectors are designed for both front mounting and rear mounting with PG9 panel locking thread. 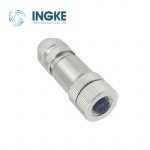 ● Screws/ nuts material: Brass C3604 with 120μ" nickel plated, CNC parts. 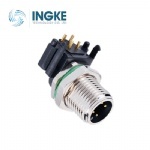 ● Female contacts material: Phosphor bronze C5441 with 3μ" gold plated on nickel base, machined solid pin. 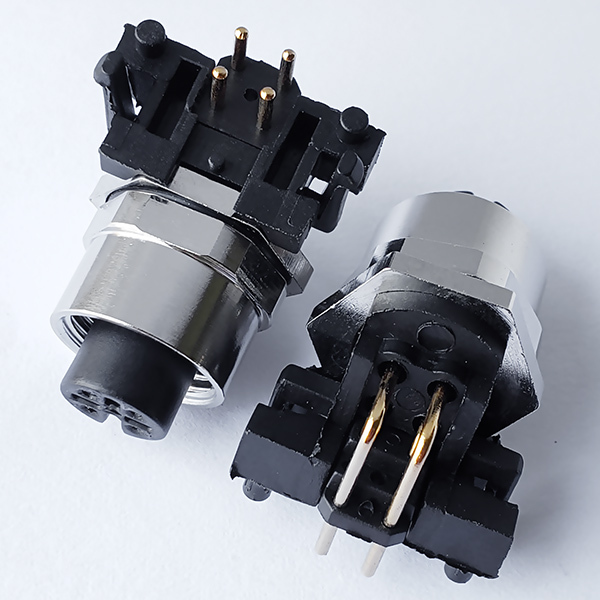 ● Temperature Range: Dynamic -25 ~ 80℃, Static: -40 ~ 80℃/105℃. 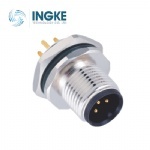 ● Protection degree: IP67 in locked status, IP68 base on customer specific requirements.